Meet the members of the AgVantage Commodities team who work hard every day to build strong relationships between local Australian producers and buyers, providing outstanding service and years of experience in agricultural commodity marketing. Steve was born and bred in Sydney, but spent a great deal of time with his grandparents and family at Come-By-Chance in northwest NSW on mixed farming properties while he was growing up. Upon leaving school, Steve undertook a building apprenticeship and eventually began running his own building business in Sydney and central western NSW. In 1999, stemming from his passion for agriculture, Steve decided to make a career change, studying for and receiving an Honours-level Bachelor of Agricultural Economics degree at the University of New England. 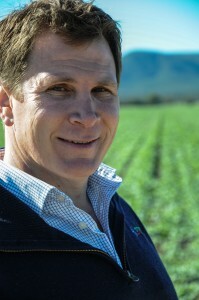 On completion of his degree in 2002, Steve commenced with AWB Ltd in Grower Services based in Melbourne. Steve relocated to Narrabri in August of 2003 to work for AWB in a Grower Services and Marketing role incorporating both grains and cotton. Steve moved to Sydney in 2006 for a role with ECOM Commodities as Pulse Marketing Manager, and then moved back to Narrabri in 2007 with ECOM. Steve founded AgVantage Commodities in Narrabri with his wife, Brooke, in September 2008 and is committed to providing pertinent market information across a wide variety of avenues/mediums to both growers and buyers of cropping commodities while offering exemplary contract negotiation and administration services. 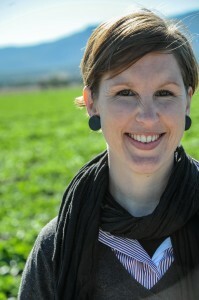 Born and raised in Moree on a grain, pulse and cotton growing property, Brooke studied for a Bachelor of Built Environment, majoring in Industrial Design at Queensland University of Technology. While a far cry from commodity marketing, this experience provided a comprehensive education in system design, strengthening Brooke’s analytical problem solving skills. Brooke primarily works behind the scenes on the AgVantage team to make sure the business runs smoothly, managing accounts and strategically moving the business forward alongside Steve. Brooke and Steve have two sons, Archer and Baxter. Josh was raised on his family’s cattle property in the Hunter Valley and after finishing school in Sydney went on to study Bachelor of Agribusiness majoring in Marketing & Management at the University of New England. Josh has spend many a uni holiday working in the Narrabri region as a harvest casual at Millie and at a local packing facility. Most recently Josh was working as a grain marketer at a local trading house. Chrissy works remotely for AgVantage Commodities from the comfort of her home office. She has been assisting with the contract administration, email marketing and general administration for AgVantage since 2013.